I know it is hard to believe, but my last birding trip was two months ago. And one thing for sure, the reason for this was not that there wouldn't have been any interesting birds to spot. 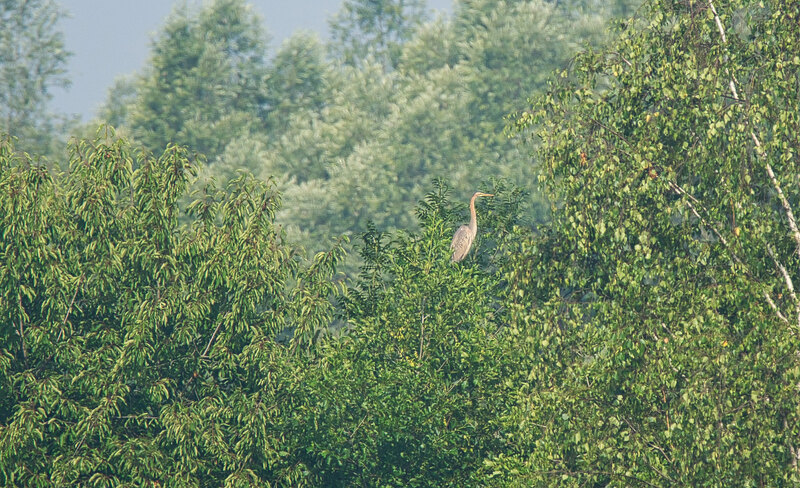 In the Aischgrund for example Purple Heron, Night Heron and Little Bittern have all successfully bred in several places. Anyway, this morning I finally managed to get off for a brilliant trip. 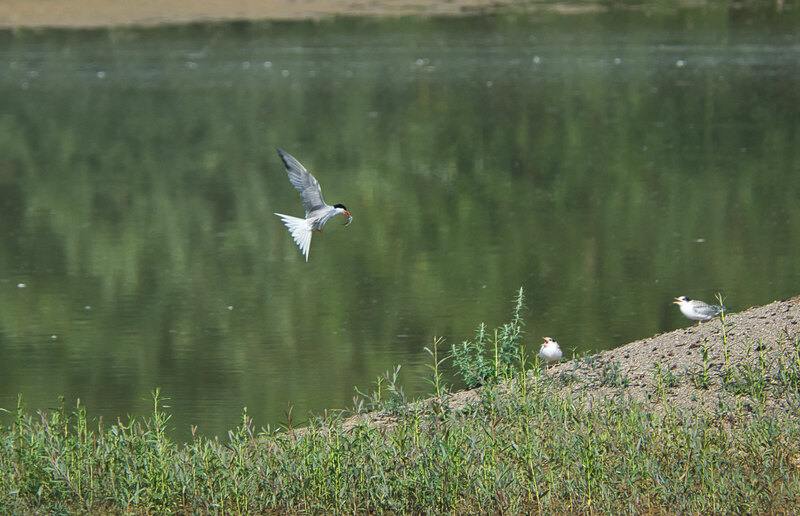 Despite the good birding conditions in the Aischgrund I chose instead the former quarry ponds of Trieb to try my luck on another even rarer breeding species: the Common Tern. 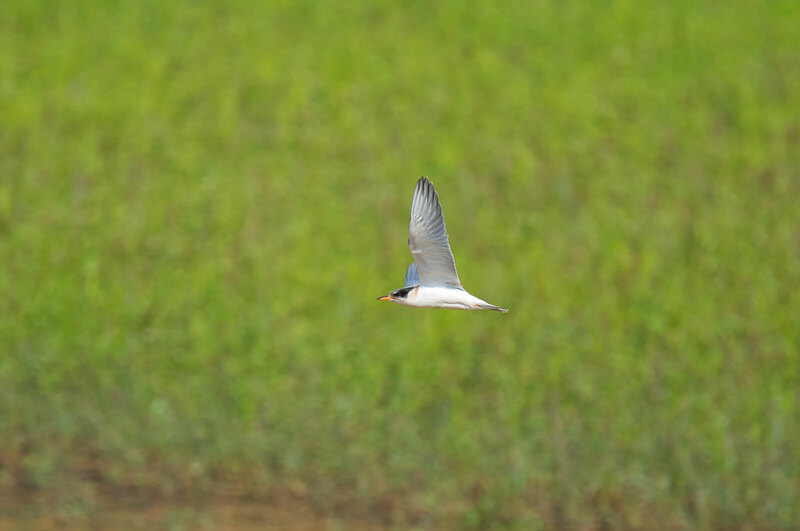 Probably, most birders reading this will certainly shake their heads, but sadly it is true that the last successful breeding attempt of Common Terns in Upper Franconia was more than a 100 years ago. Against my usual practice I started really early in the morning and reached the first pond soon afterwards, while it was beautifully illuminated by the golden morning light. A quick scan of the opposite shoreline produced a distant sight of a Purple Heron, another good breeding species of the site. On the small sandbank in the centre of the lake some common species of waders were feeding, but nothing special. 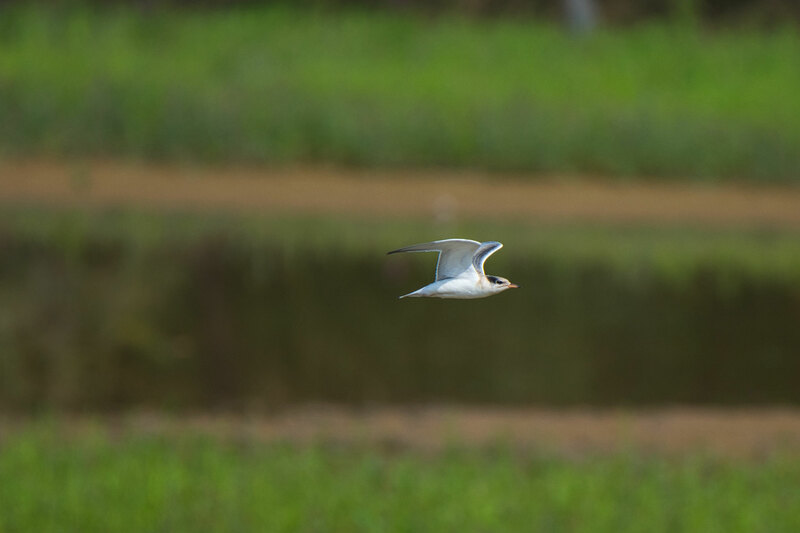 Just as I was about to go on towards the second pond, the breeding location of the terns, two Grey-headed Woodpeckers called nearby. The melancholical call series of this elusive woodpecker species is in the most cases the only and best sign of their presence. After I had given up searching the two woodpeckers in the trees at the shoreline, I eventually moved on to the tern site. The best overview over the shallow pond offers certainly the hide on its southeastern corner. 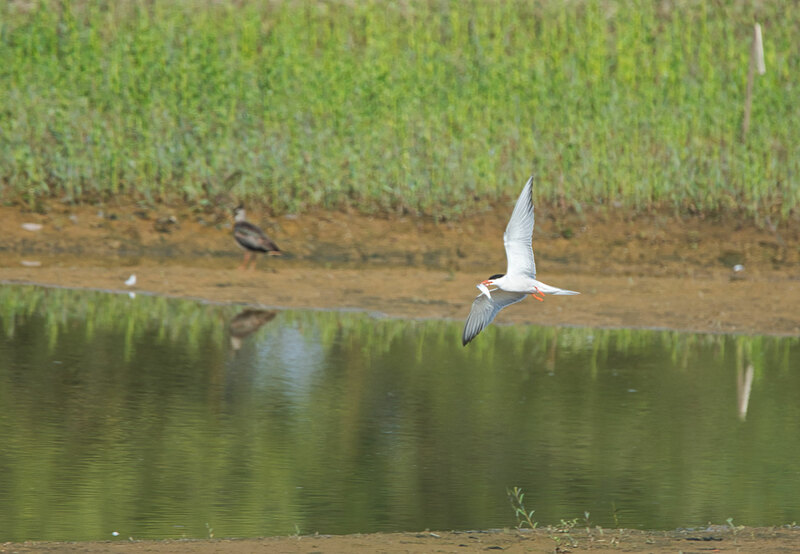 When I arrived there, the adult Common Terns were just busy with feeding their three juveniles. Roughly every 10 minutes one of them flew in with a fish in the bill greeted by the chattering youngsters. 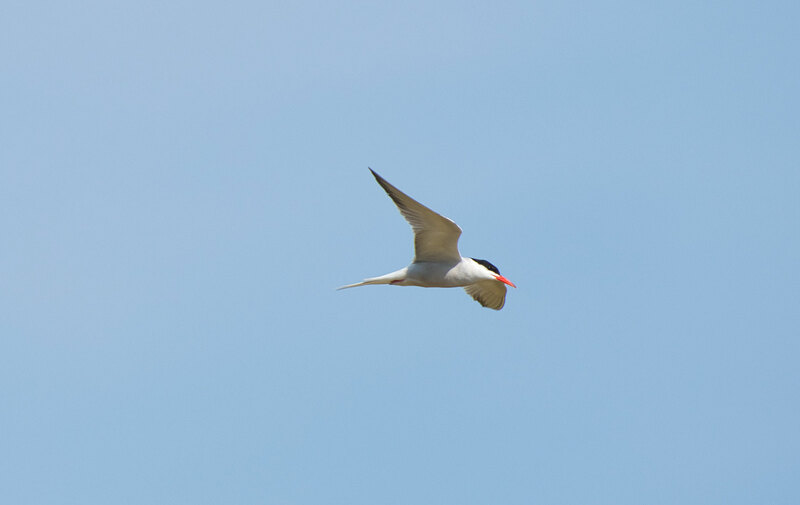 Unfortunately, the terns were most of the time too distant for photos, so the only chance was to wait until one of them came closer to the hide. These expectation however were fulfilled sooner than I thought. 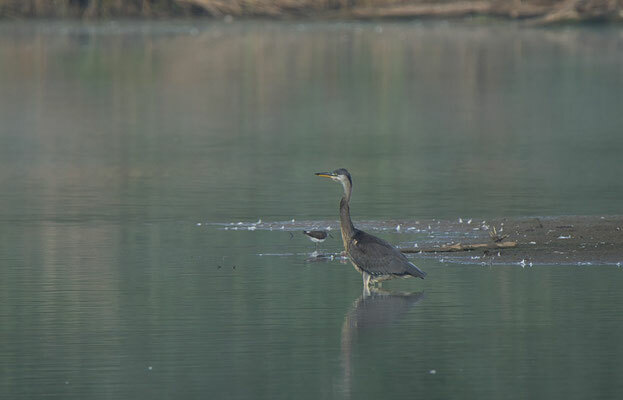 As a Grey Heron came in, the whole family set off, circled two times low over the pond and flew than out of the sight. Since the juveniles are already flegged, it won't take too long until they'll leave the site. So I was fortunate to have spent some nice hours there.